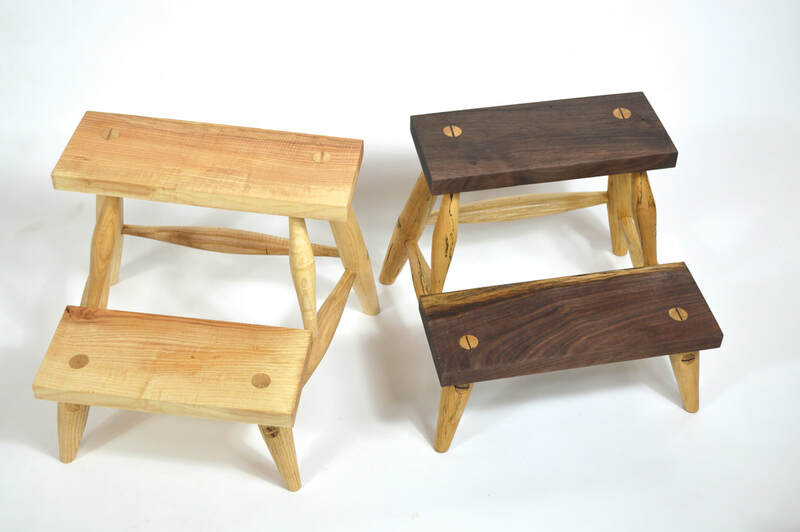 This little step stool is small and light enough to move around the house, but beautiful enough to leave out where you can see it. The top is 14 inches above the floor, enough so that an average hight person standing on the top step can easily touch the ceiling in a room with 8 foot ceilings. $​300 in your choice of wood.